Achieving a Tack Sharp or Pin-Sharp Images is not a difficult task. Several simple steps make the process a bit longer than just snapping a photo. Although I will discuss some expensive equipment and slightly complicated subjects, an inexpensive and easy solution is usually achievable by following some of the steps listed below. In many cases, simpler less costly equipment will work wonders for your photos. Tack sharp images, referred to solely as “Tack” in the photography industry are images that have a very sharp and crisp focus. These clear ultra focused images usually pop out at the viewer and make for the most amazing photos. The easiest way to achieve tack sharp images is by reducing most of the camera shake. Camera shake can be caused by many different factors including the miniscule shake caused by the shutter mechanism. Other factors like lens quality, exposure, focus, and ISO can all contribute to blurred photos. This article will help you to attain sharper images under most conditions, and perfect tack sharp images in the best conditions. Tip: For slower shutter speeds, a tripod may be the single most easy and cost effective way to reduce camera shake. Even a low-end tripod can greatly reduce camera shake; however, a heavier tripod will create a more stable base and reduce camera shake almost completely. Other factors such as wind, ground shake, and camera movement can also cause camera shake. With the exception of wind, camera shake can be markedly reduced by using a heavier and sturdier tripod, whereas a wobbly tripod will actually exaggerate these factors..
Tripods: Tripods come in a variety of shapes, sizes, and price ranges. They may be extremely light-weigh and compact, or quite large and robust. Which tripod is right for you? Generally a good rule of thumb is to pay about one eighth to one quarter the cost of your camera including the lens. For example, if your camera cost $1000.00, a tripod costing anywhere from $125.00 to $250.00 is reasonable. A good tripod will outlast any camera and may become a life long friend. Some people may think this is too much to pay for a tripod, but laboratory tests have proven that the extra money spent over the minimal amount easily and quickly pays for itself. There are of course additional considerations aside from affordability. A $1200.00 camera with a $3000.00 telephoto lens requires a much sturdier tripod. On the other hand, a $100.00 camera can easily be accommodated by a $50.00 tripod. Note that heavier cameras with larger and heavier telephoto lenses are much more susceptible to camera shake (discussed above). Buying a tripod: When buying a tripod create yourself a checklist that includes: price, size, weight, maximum weight bearing capability, maximum height, minimum height, legs and feet, head type, ease of use, and brand. Price: Like most things, you get what you pay for. Inexpensive tripods are made from cheap materials and will wear faster. Tightening screws will wear or strip and the head may not be able to support your camera at an angle other than level after a short period. Higher end tripods have better locking mechanisms, stronger heads and higher quality materials that can make them sturdier and more durable. Size: In general, the larger the tripod, the better. If you need to hike up a mountain or pack the tripod in a suitcase, size will be a consideration. Again, get the largest possible tripod that will suit your needs. Weight: As with size, weight is very important. Although the rule is that heavier is better, new materials such as Boron or Carbon Fiber can reduce weight and increase stability. However, these newer materials do come at a heavy price. The advantage? Carbon fiber, for example, resonates much less than most metals and therefore markedly reduces shake due to wind and ground vibrations. Maximum Weight Bearing Capability (Warning): Most tripods are rated by the manufacturer for a Maximum Load in Pounds or Kilos. A camera that is rated at 100% of the Maximum Load will shake more than a camera that is mounted on a tripod rated at 50% load. In addition, a camera mounted on a tripod rated at 100% or greater Maximum Load can cause the tripod to break. Keeping the load to below 75% of the Maximum Load (camera and heaviest lens and additional accessories such as a flash) will protect your camera and equipment from mishaps. Maximum Height: You may require a tripod to reach a certain height. Note that the longer you make the column, and the further you extend the legs to their maximum, the more likely your camera will shake. Thus, a tall tripod is generally sturdier than a short tripod that is extended to its maximum dimensions. Minimum Height: Macro Photography as well as Bird and Nature Photography require placing your camera slightly above ground level. Many new tripods allow for this, some better (and easier) than others. Legs and Feet: Tripod legs and feet also come in many shapes, sizes, and materials. The legs may be square or round, and can extend in multiple sections from one to six or more. The mechanism to join and tighten these sections is very important in final tripod stability. Well-designed and manufactured locking mechanisms are critical. The lock for some legs is quite solid, and enables holding up to 100 Pounds. But, (big but here) are the legs stable? Do they bend or wobble? 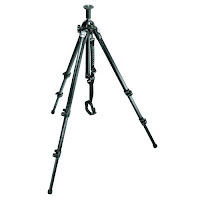 Choose a tripod with good sturdy legs that are solid and wobble-free when fully extended. The feet on the legs can be small or large and may even have spikes to prevent slipping. Some high-end tripods even allow you to change the feet with different options. Heads: Some consider the head to be the most imp ortant part of the tripod and rightly so. A poorly designed head will allow for wobble, shake, creeping and vibrations. 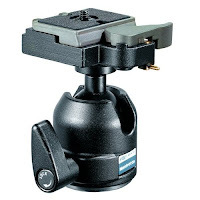 There are various types of heads to choose from including clamp heads, ball heads, pan and tilt heads (usually used for video), and can include quick release systems. Less costly (low-end to mid-priced) tripods come with heads; however mid-priced to professional tripods usually require purchasing the head separately. Some heads have markings and levels to help with panoramas. Good quality heads can also be quite expensive; again, the more you spend the better the quality. Find something that suits your needs, your style of photography and budget. If your only concern is a very stable image, a basic solid head is all you need. Ease of Use: Before buying a tripod look it over and play with it. How easy is it for you to manipulate? If your fingers are exceptionally large or small, how easily can you open the tripod, fully extend the legs and center column, and attach the camera? Some legs tighten by twisting the leg itself, others by twisting a ring; yet others use clamping mechanisms. How easy is it to switch the camera from waist level to floor level? Finding the right tripod will remove a lot of in the field grief. Brand: As with most products, some brands are better than others. Brands such as Gitzo, Manfrotto, Realy Right Stuff, and Bogen all make great tripods. In Lieu of a Tripod: There are other options available to help stabilize your camera such as bean bags, available natural platforms, monopods and such. However, remember if you want Tack Sharp; the tripod is by far the best, easiest and more reliable way to go. Tripod Stabilization: You can help stabilize your tripod by adding some weight to it, if such weight can be supported. You can hang your camera bag from the column making sure that it is not swinging from a long strap. Some tripods have hooks at the bottom of the centre column to allow for this. Warning: Do this only if you have a sturdy tripod that can handle the camera weight and extra weight. Keep the total weight to about 75% of the total Maximum Load. Using a Tripod: If you do not use a tripod, you will not reap its benefits! Learn to bring it with you all the time. Keep it in your car trunk if you have to, but learn to use it all the time. The difference between photos taken with and without a tripod can be noticed instantaneously. By forcing yourself into the routine of always using one (except for sports, some wildlife and such), you will become a tripod convert and never go back to not using one. Most cameras are rather well built. No matter how well built they are, they are all affected by camera shake caused by the shutter and mirror mechanisms. Shutter: The camera itself vibrates when the shutter mechanism is activated. This electronic (or mechanical) device requires a great deal of force to move the shutter blades or curtains at high speeds. This resultant force causes cameras to shake a little. Some new cameras have twin blades and twin devices that allow for very fast shutter speeds, causing even more shake. Some cameras such as the Canon 40D use an electronic first shutter and a mechanical second shutter in Live View mode. This electronic shutter creates less camera shake than a mechanical first shutter. It is also quieter. Mounting your camera on a large heavy tripod will greatly, or even completely, reduce this shake. Mirror Lock Up: Before the shutter mechanism does its job, the mirror in an SLR camera has to move out of the way. This mirror is relatively heavy; again, an electronic (or mechanical) mechanism will quickly push this mirror up and out of the way to allow light onto you’re the sensor (or film), causing camera shake. In fact, it is this mechanical process that makes most of the noise when you take a photo. Some cameras provide a function called Mirror Lock Up, by which the mirror is locked in the up position thus disabling the view-finder. With most cameras you need to focus before the mirror locks in the up position. Live View: Many new cameras have what is called a Live View mode. Live view mode reads what the camera sees using an electronic image sensor, and then displays it on the LCD. Some cameras will not Auto Focus in this mode but manual focus is always available. Live view mode can make it easier to use the camera when the mirror is in the locked position. Dioptric Adjustment: Make sure that the dioptric adjustment on the eyepiece, if there is one, is adjusted properly. It is hard to focus properly if everything is blurry! Even though this usually only needs to be set once, your eyes can change over time and it is also possible for the adjustment dial to get bumped. Check it every so often. Quality makes all the difference. Some cheap lenses can never give you a Tack Sharp photo. There are several general factors that can affect a lens’s ability to take a sharp crisp photo, these include; lens design, lens alignment, glass quality, and optical coatings. All lens manufactures must deal with multiple distortion issues in their lens designs, including: barrel distortion, pincushion distortion, chromatic aberration or color fringing, coma, light falloff, vignetting, flare, and ghosting. Some manufactures can deal with these issues better than others in the design process itself, while better quality (more expensive) glass or quartz can further deal with these issues. A whole book could be dedicated to the Lens. If you want to learn more about lenses, check out the Canon EOS Beginners’ FAQ – Part III article on Lenses. Clean Lens: Always use a clean lens, making sure the front and rear elements are spotless. Depending on where the dust is, it could create a rather large blur in your final image. Lens Design: Lens design is critical to the final image quality. By “design”, I mean the optical design inside the lens. Most lenses are made up of multiple lenses arranged in groups, and very often have multiple groups. Most zoom lenses have at least one additional group. Better quality lenses have designs that are optimized to give the best quality image. Part of the design element is the cutting, grinding and polishing of the glass itself. Most lenses are ground to tolerances of millionths of an inch. Better quality lenses have much higher tolerances and more stringent quality control. 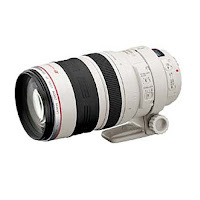 Canon for example makes several different quality lenses with their best lenses being the “L” Series (Luxury) lenses. Many low-end lenses are molded. Lens Alignment: Once lenses are ground, polished, and assembled into their groups they must be held together in the barrel of the lens. Final alignment of the lenses is critical and great care is taken to assure they are perfectly aligned. Again, better quality lenses have lower tolerances and better quality control. Stringent testing is performed; lenses that do not pass are discarded. Cheaper lenses allow for more defects to pass. Glass Quality: As with any optical device such as microscopes, telescopes and even eye glasses, there are different qualities of glass. Great care goes into making glass that allows the most amount of light through the lens with the least amount of optical interference. Some lenses are made with different materials such as Fluorite. At least one element in every Canon L Series lens, for example, is made either of fluorite crystal rather than glass, a ground aspheric lens element, or from ultra-low dispersion glass. Optical Coatings: The final aspect to lens design is in its optical coating. I say “in” because good quality lenses have all lenses in a group coated, and not just the front and rear lens of the group. A good coating can help deal with problematic lens distortion issues, and contributes to reducing flare outside and inside the lens. A good quality coating can also increase sharpness and help protect the lens by creating a more scratch resistant surface. Prime Lenses: Fixed Focal Length lenses are usually optically superior to their zoom lens counterparts. A prime lens has fewer lens elements and fewer groups. This makes controlling optical distortion much easier. Zoom lenses, on the other hand, further enhance distortion problems by needing to be optically sound at what ever focal length they are set at. Most prime lenses are less costly than zoom lenses and good quality wide angle and portrait lenses should be in every photographer’s camera bag. Most fixed 300mm lenses are far superior and much sharper than most zoom lenses that can achieve a focal length of 300mm. Again different grade prime lenses are available. For example the Canon series “L” lenses are better than their non “L” lenses. Some of the best Prime Lenses are very in-expensive like the Canon 50mm f/1.8 Lens. A must have lens. Sweet Spot: There are two sweet spots to discuss here; one involves lens aperture, and the other the focal length of the zoom lens. Aperture: This commonly referred to sweet spot refers to the aperture at which your lens is its sharpest. A prime or zoom lens will have one aperture where the lens is very sharp. Usually this is two or two and a half stops smaller than the maximum open aperture. Therefore, a lens with a maximum aperture of f2.8 will usually be its sharpest at about f5.6. Test your lens to see where it is sharpest, that is, where its sweet spot is. Tip: When using a good tripod, the aperture sweet spot provides better results than when using a larger aperture together with a faster shutter speed! The only caveat here is using a desired aperture to meet your artistic demands. For example if you want a very short depth of field, you may need to use f2.8 even if it is not the lens’ sweet spot. Focal Length: This sweet spot applies to zoom lenses. If you must use a zoom lens, find out where the focal length sweet spot is on your lens. This will be the focal length at which your lens is the most optically sound and therefore it’s sharpest. For example, a 70mm to 300mm lens is probably it’s sharpest at the 100mm to 150mm range. All zoom lenses are different and should be tested to see where it is sharpest. This can be difficult to test but can make a big difference if you are forced to use a zoom lens. Using the focal length sweet spot of your zoom lens (by moving closer or further away from the subject) will provide sharper images than can be obtained by simply (and lazily!) relying on the zoom lens itself. Tip: Both the focal length sweet spot and aperture sweet spot can affect each other. If you need help testing for your particular lens sweet spot, there is a lot of good information available on the Internet. Sharpness And Aperture On DSLRs. Zoom Focusing: When using a zoom lens, it is generally believed that the best way to get a sharp focus is to zoom in all the way, focus your subject, and then zoom out to get the desired composition. There are two problems here. One, if using a hand-held lens, your body position may change slightly between zooming in, focusing, and then moving back out. Depending on the focal length and aperture, a slight change in body position, as little as one inch, can produce an out of focus image. The second problem has to do with the above noted focal length sweet spot. In this scenario, one assumes that the lens is as sharp when zoomed all the way in as it is when it is backed off. This is not always the case. LCD Focusing: One of the advantages of digital cameras is their LCD display and built-in LCD zoom feature. Using Live Focus you can check that your manual focus before mirror lock up was OK by manually zooming in using the LCD zoom and checking that the focus is perfect. If in doubt, take the shot as it was originally set with the Manual focus, then focus again using the zoomed in LCD display and take another shot. One shot will be better than the other. After a little experimenting, you may notice that one method is better than the other more often than not. Focus Bracketing: Focus bracketing is the same as doing the double shot when using the LCD display to focus. Focus on your subject and take a shot. Re-focus your subject and take another shot. One will be better than the other. Hyperfocal Distancing: Using Hyperfocal Distancing maximizes the range of objects that will be in focus by using the full focusing range of a specific aperture. This technique is usually designed for Landscape photos or any photos that are focused at infinity. Prime lenses are designed with this in mind and have barrel markings that allow you to line up focus points with specified apertures. This is a technique worth checking out. Lens Filters: It is very simple to work with lens filters – just get rid of them! Any filter, including a costly Rodenstock HR Digital filter, will cause some optical distortion. The exception to this rule is a haze filter used to reduce haze which also causes blurriness. Another example would be when using a polarizing filter to remove glare. A filter can protect your lens or it can be used to adjust a scene, but unless absolutely necessary, remove the filter. Lens Mount: If your lens is an extreme zoom lens with a built in or clamp on tripod mount, use it. Some mounts allow you to slide the ring forward or back or even turn the mount completely around so that you can better balance the lens and attached camera. Some tripods have movable plates that will also allow you to move the lens/camera forward or back to better balance everything. Exposure can play a critical role in making a tack sharp image. Best of all, this is free and available to everyone. Exposure: Proper exposure will help out with Sharpness. Over exposed or underexposed images will require adjustments that will cause slight blur. Remember that the least amount of digital manipulation will result in the sharpest image. Full Frame: Use all of your camera’s film or sensor. By shooting your photos full frame without needing to crop any of the image you will achieve a much sharper image. ISO: No matter what, use the lowest ISO setting available on your camera. The higher the ISO setting on a digital camera, the more noise will be in the final image. This noise results in blurriness in the final image. Shutter Speed: As mentioned above, when using a tripod set the shutter speed to adjust exposure based on the ISO setting and your aperture sweet spot. If you lens’ sweet spot is a range of apertures, use the lowest aperture in the range so that you shutter speed will be its fastest. A fast shutter speed is your best friend. Note: This may not be viable if shooting sports or action shots which require a faster shutter speed. Most of this article is about digital cameras, there is no film, right? Wrong! The digital image sensor in your camera is the equivalent of film. Real Film: If you use a non-digital camera and use film, choose a film with the lowest possible ISO rating such as ISO 25, 32 or 50. Mega Pixels: The higher your camera’s Mega Pixels, the sharper your final image will be, especially when printing larger sized prints such as 11x14 or 16x20. Image Sensor: Most digital SLR cameras have settings to allow adjustments to the sensor. One of those options is the image “sharpness”. For example, if a camera is set to Automatic Portrait Mode, most cameras will adjust the sensor to use a soft quality image. The softness adds to the appeal of most portraits, but will cause blur when trying to get a tack sharp image. Make sure your camera is manually set to achieve the sharpest image. ISO: As discussed above, keep the ISO setting as low as possible to keep the noise levels down. Tip: Temperature can also cause noise. The hotter the image sensor is, the greater the noise. If possible, try to keep your camera cool and out of the sun. If you must work in the sun, some lenses are available to reduce the effect of heat. Canon’s patented White “L” Series Lenses were designed to keep lenses cooler in the sun than standard black lenses. Nikon has also designed a beige lens for the same purpose. RAW: If your camera supports it, always use RAW for image files. Aside from being the cleanest and sharpest image form by default, the process of converting an image to JPG format (even a Large JPG) will introduce artifacts and reduce overall image sharpness. The process of engaging the shutter release button will cause a hand-held camera, and even a tripod mounted camera, to shake. You can easily and cheaply reduce or remove this effect. 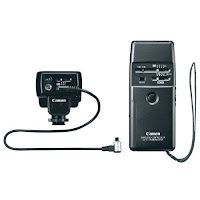 Cable Release: Using a digital cable release will completely remove camera shake caused by the pressing the shutter release button. Older mechanical cable release systems are more rigid and can introduce some camera shake, but they are still better than just using a finger. Tip: Standing too close to the tripod can cause camera shake; for example if the floor is a sprung wooden floor or if you are standing on a soft or wobbly platform. Use a long or wireless cable release system to help reduce these sources of camera shake. Timer: If you do not have a cable release or only have a short one and want to move away from the tripod, use you built in self-timer. This works great and is free! Tip: Some people have a hard time hand holding a camera and pressing the shutter release button without moving the camera. Try using a self-timer set for two or three seconds. Brace yourself and the camera, push the shutter release button and steady yourself again. Wireless: A great solution to firing the camera without any movement is to use a wireless trigger. They are available as OEM add ons from your cameras manufacturer or as an after market product. I personally use an after market wireless tigger myself. With the advent of computers came the digital camera. Now with the help of Photoshop and other programs and computers, we can digitally manipulate images to increase sharpness or perceived sharpness. Programs like Adobe Photoshop and On-One’s Genuine Fractals Plug-In and others can greatly enhance an image if the conditions are right. Special plug-ins and software can be used to help achieve a cleaner sharper looking image. One can spend weeks if not months learning how best to digitally increase sharpness using a computer. This topic could cover at least a separate article, so I will leave it here for now. When creating your final image you have control over final sharpness by using a good printer and appropriate paper. Even if you use a low cost printer, big differences can be achieved by using the appropriate great quality paper. Know and understand your printer. Ink: Dye based inks usually will render sharper images than pigment based inks. Pigment based inks are grainy by nature and rendering a very sharp clean edge on paper is more difficult even with today’s printers. Some new high end printers that use Binary Pigment Technology can achieve great results when printing monotone (B&W) images. Paper: Using a good quality gloss paper will usually render sharper and cleaner looking images than poor quality paper or non glossy paper. Try several brands and types of paper to see what works best with your printer. Image Size and Resolution: When printing take great care in understanding how your printer works with your software so that you can achieve maximum sharpness. Have your software control image size and pixel resolution. Do not just arbitrarily select a higher resolution for printing your images as changing the resolution will usually cause images to blur rather than become sharper even if re-sampling. Again the Internet can be an invaluable source here. Start by checking out Getting Started with Inkjet Printing. As I mentioned at the start of this article, it does not take a whole lot to increase image sharpness or to achieve a “Tack” sharp image. As long as you start with a decent camera and lens, you can get great results by using a tripod, taking time and care in choosing your exposure and “film” settings which include using sweet spot settings, bracketing your focus, and finally using a cheap cable release or timer. How simple is that? Your basic overall investment could be as low as $100.00 dollars for an inexpensive but sturdy tripod. Considering that you probably spent over $500.00 for your camera and perhaps that much or more on a lens, this paltry investment can turn your images from great to spectacular. For better results, invest in a good prime lens that suits your photographic needs. Just remember, it all starts with a good tripod attached to your camera. Use it! This is such a wonderful article, Francois. thank you so very much. I have a bridge camera, but your instructions help there too. I am sending this along to my friend. We really need to start using our tripods?